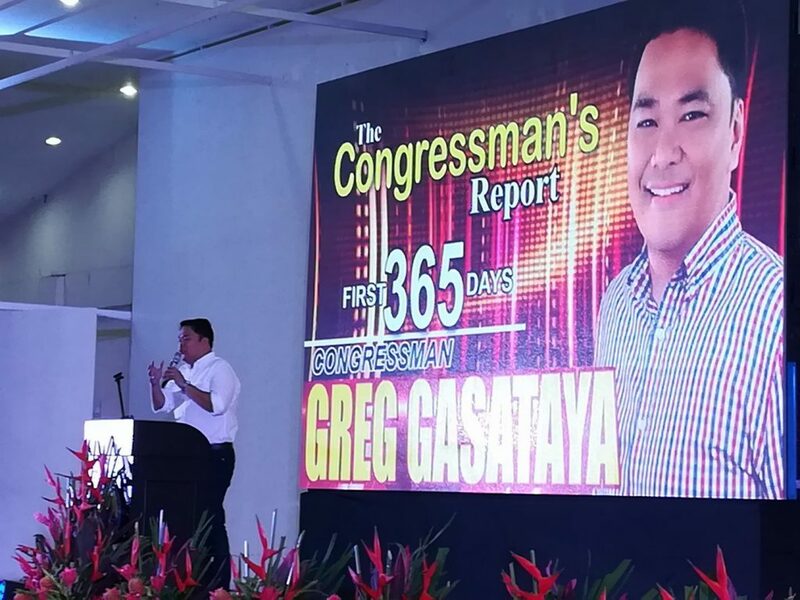 Bacolod City Lone District Rep. Greg Gasataya delivered a State of the District Address (SODA) at the Bacolod Pavillon yesterday afternoon, where he discussed legislation he authored, along with approved and implemented projects. According to the congressman, he authored 32 bills and co-authored 60 measures. He emphasized infrastructure projects implemented, such as road construction and improvements, flood control, and the Magsaysay-Araneta flyover. Adding, the construction of 300 new school buildings had recently been approved, together with more funding for the New Bacolod Economic Highway. He noted, the national government recently approved an additional P1 billion to expedite the completion of the New Bacolod Economic Highway, which the congressman said will address traffic problems in the city. Gasataya also said the Department of Public Works and Highways (DPWH) recently agreed to the construction of another flyover, which will be planned along the Circumferential Road and Burgos Street. “Out of the 10 flyovers to be constructed throughout the entire country over the next two years, one will be in Bacolod,” he stated.